Facebook a name for itself in the social media world with an excellent messaging and photo platform. Now, the social network plans to get very serious about its Events feature. During the company's latest earnings call, Facebook CEO Mark Zuckerberg outlined a new plan to liven up Events. 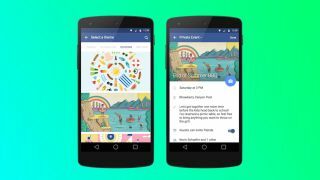 For starters, Facebook has already started experimenting with flagging events that are popular or ones that your friends are going to on the left and right side of the Newsfeed. Additionally, Facebook wants to introduce more notifications to keep users informed about the latest goings-ons around them as well. The Social Network is also considering how to change the way users interact with events by adding "Follow" or "Remind me" as non- committal way of showing their interest in an event. As it stands now, the only way to keep an event on your radar is to mark yourself as going or maybe attending. On top of giving users more options to stay attuned with events, there might be a greater distinction between public and private events more apparent. To this end public events will feature larger header images along with presenting more information about the location and event (such as an artist's profile or photos of the venue). As for private occasions, Facebook has started testing new cover art themes to add a bit of glamour for your party invitations. Starting today, users can choose between 36 themes including family, holiday and seasons. The new themes will be available first to Android users, after which iOS users will have access later on. In a smaller bit of related news, Facebook has also brought back Notes with a new design featuring sharper typography and larger images. Overall, the new look is very reminiscent of Medium, which shouldn't really come as a surprise after they hired the web publishing platform's designers. The real question is whether users will use the newly minted Notes for blogging or will it fall to the wayside again for overly long status updates.